While cringe comedy only really became a television staple in the ’90s, its wide reach only continues to grow over time. Beginning on HBO with the likes of The Larry Sanders Show and Curb Your Enthusiasm, it seemed to truly develop over in the UK with Ricky Gervais and Stephen Merchant’s The Office, springing up a few years later in American network TV with an adaptation by veteran writer Greg Daniels (SNL, King of the Hill, The Simpsons). On the tenth anniversary of the premiere of The Office, here’s a look at ten episodes of the show that solidify its undeniable cringe comedy legacy. The Christmas party takes a turn for the worst when Michael initiates a Yankee Swap where everyone’s gifts are turned to sport. Kevin awaits results from a skin cancer test, but it’s Michael’s birthday, and he refuses to let that overshadow his “big day.” Ends with a trip to the ice rink, though! Michael reads the employees’ complaints about each other out loud, and things only get more uncomfortable from there. 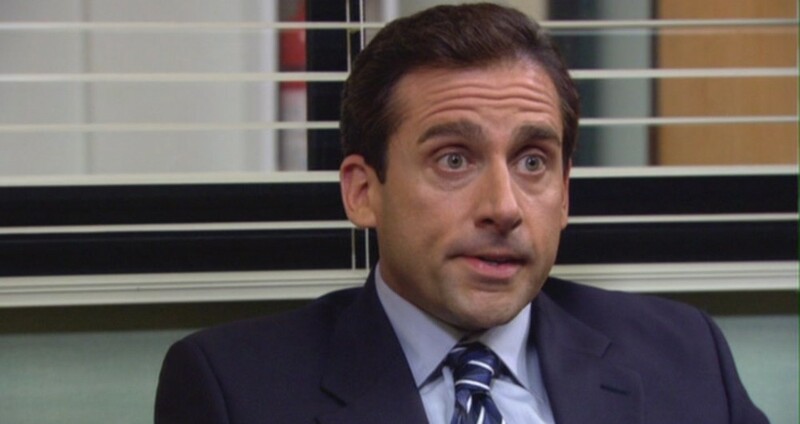 Michael finds out that Oscar is gay and outs him to everyone in the office. His solution: kiss him to show how everyone how progressive he is. The one where we watch as Andy has an episode-long mental breakdown after Jim and Pam steal his phone. Michael attempts to talk about women’s issues and just ends up taking the women of the office to the mall, where he proceeds to talk about his uncomfortable relationship with Jan (sparing few details). A masterwork of cringe comedy and one of the greatest TV episodes of all time. The guests at Michael and Jan’s dinner party end up playing victim to their petty psychological warfare. Michael steals a sleeve from Holly’s sweater, and Angela is seen cleaning/licking her cats via nanny cam. Ten years ago, Michael made a promise to a bunch of kids that he would pay for their college tuition… That day has arrived, and it turns out that he’s not as successful as he thought he’d be. Almost too uncomfortable to bear.